Krugman can’t believe Republicans who worried about deficits under Obama — when, according to Keynesianism, we needed deficits to help the struggling economy — have no problem with them today, at a time when Keynesianism would consider them unnecessary. Yes, there are plenty of Republican hypocrites, whom we do not spare in this episode. But Krugman and his friends might want to be more careful when accusing other people of hypocrisy…. Federal government has the open checkbook of multiple generations of Americans, with no real restraint. 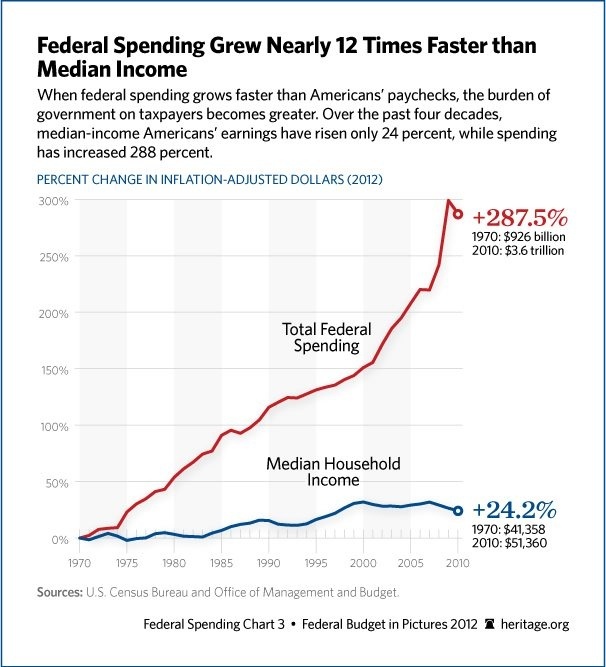 Uncontrollable federal government spending is a major problem and most Americans have no knowledge about it. Politicians talk a good game about fiscal responsibility, but the facts speak for themselves. We have a national debt around $20.6 trillion which comes to about $163,000 per household if paid in one lump sum. $20 trillion in debt proves that entitlements and safety nets should not be in the hands of the federal government. The national debt keeps increasing because of deals, aka compromises, between Democrats (social programs and entitlements) and Republicans (corporate welfare and defense). The main thing extending judgment day is the world’s faith in the US economy, its ability to pay and the worldwide demand for the US dollar. But this is not limitless. There is only one way to restore accountability at the federal level, we have to pass an amendment that forbids the federal government from being in the benefit/entitlement/subsidy/insurance business. Everything else is just a bandage. 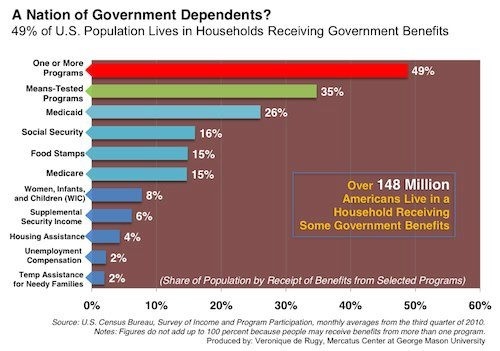 Benefits, entitlements and subsidies can be done in the states that choose to do them. States will have to prioritize. States have the checkbook of the current generation, but they also have real budgets and real restraints with real consequences. States could offer all the benefits voters can dream of, but they would have to tax their voters to pay for it. There would be no borrowing from China, Japan or monetization of debt to pay for it. This probably will not happen until there is a big enough crisis and all the bandages have been tried. This amendment will be the solution after all other things fail. Leave defense to the federal government and safety nets to the states. Hard lessons about socialism should be learned in the states not at the federal level. Fixing other federal problems will be easier after this amendment. Abolishing the IRS should quickly follow. Focus will then be on defense spending, excessive regulation, government surveillance and the Federal Reserve. I would say this even simplier by stating the federal government may not engage in any transfer payments. period! A private central bank issuing a public currency is a greater menace to the liberties of the people than a standing army… We must not let our rulers load us with perpetual debt. We must make our election between economy and liberty or profusion and servitude. If we run into such debt, as that we must be taxed in our meat and in our drink, in our necessaries and our comforts, in our labors and our amusements, for our calling and our creeds…[we will] have no time to think, no means of calling our miss-managers to account but be glad to obtain subsistence by hiring ourselves to rivet their chains on the necks of our fellow-sufferers… And this is the tendency of all human governments. A departure from principle in one instance becomes a precedent for [another]… till the bulk of society is reduced to be mere automatons of misery… And the fore-horse of this frightful team is public debt. 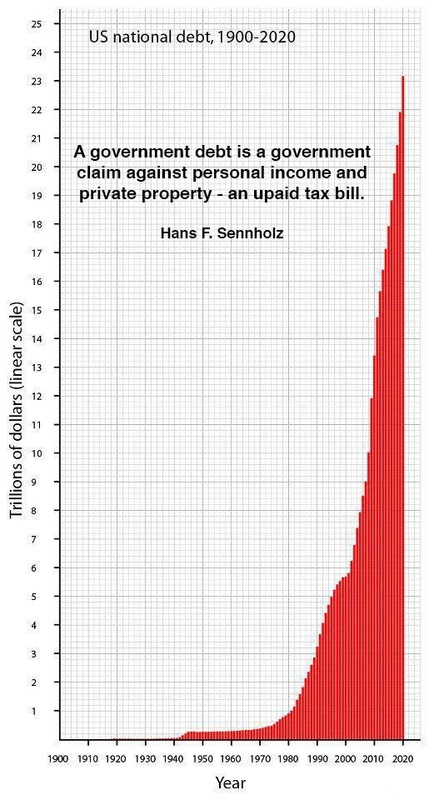 Taxation follows that, and in its train wretchedness and oppression. The national budget must be balanced. The public debt must be reduced; the arrogance of the authorities must be moderated and controlled. Payments to foreign governments must be reduced. If the nation doesn’t want to go bankrupt, people must again learn to work, instead of living on public assistance. Just announce the next cruise and get it over with. Until it’s Seattle to Alaska I’m not going. Where are the internet trolls…I’m mean Krugman’s alternative IDs?